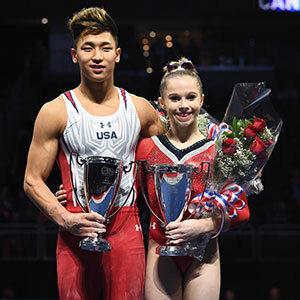 Ragan Smith and Yul Moldauer solidified their prospects as future leaders of Team USA by taking top honors at the AT&T American Cup at Newark, N.J.’s Prudential Center on Saturday. 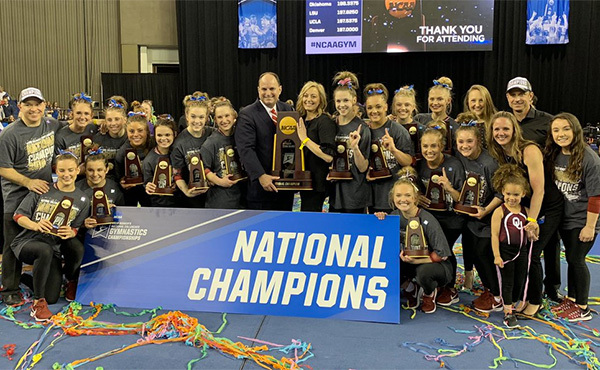 Smith’s triumph extends the U.S. women’s winning streak in the event to 15 years, while Moldauer’s win is the first for a U.S. man since Sam Mikulak’s in 2014. Smith led the nine-member international field throughout the afternoon, gaining the competition’s highest scores on vault – she did a Yurchenko double full -- and floor, where her popular Addam’s Family routine was a hit with the crowd and earned 14.000. 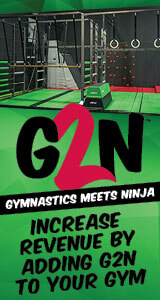 There were a few rough spots, including a fall off of the balance beam on a standing full (back flip with a full twist). But Smith recovered to execute a double pike dismount with just a small hop on the landing, and earned a 13.266 to place third on the apparatus. She ended with 56.099 points total in the all-around. Kim Zmeskal-Burdette, who coaches Smith at Texas Dreams Gymnastics, was glad to see her athlete stay calm and carry on. “Obviously, no one wants to have a fall, but I’m very proud of her,” Zmeskal-Burdette said. “She’s never been in this leadership position before, and mistakes will happen. The most important thing is, can you turn the page and continue?" It’s been a busy last eight months for Smith, who was named an alternate to the Rio Olympic team after placing fifth in the all-around at the U.S. Olympic trials and impressing officials at the subsequent training camp. She traveled with the team and trained in Rio, but after returning to the U.S. was troubled by a bone chip in her ankle and had surgery to remove it in October. 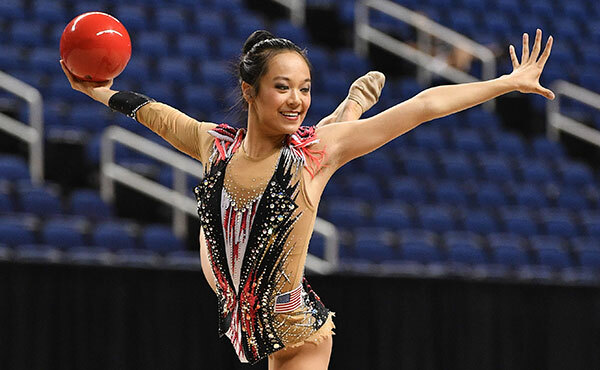 Asuka Teramoto of Japan, a two-time Olympian, earned solid scores on all four apparatus to place second with 54.231 points. Melanie De Jesus dos Santo of France turned in the best balance beam routine and finished third. It was a disappointing afternoon for Riley McCusker, who settled for fifth place and a total score of 52.966 after slipping off of the uneven bars on a release move, and missing her foot on a back handspring leading to her beam dismount. The 16-year-old from MG Elite lives in nearby Brielle, N.J., and had a large rooting section of friends, family and teammates in the crowd. She admitted that may have added a bit of pressure. This event is often thought of as a showcase for U.S. women, especially in recent years. But Moldauer and Akash Modi, the Rio Olympic alternate who placed third, nearly stole the show on Saturday. Moldauer was first in floor with 14.566, but his signature moment came in the last rotation, his high bar routine. The entire arena, including fans, fellow gymnasts and coaches, knew a solid score would give him the win, and all watched intently in near silence. 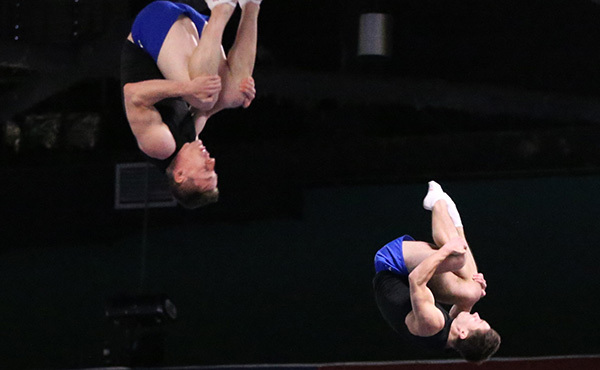 Moldauer responded with a high-flying Kovacs (double back somersault) over the bar that gained cheers, particularly from his teammate Modi. His 85.931 total gave him the title by .232. 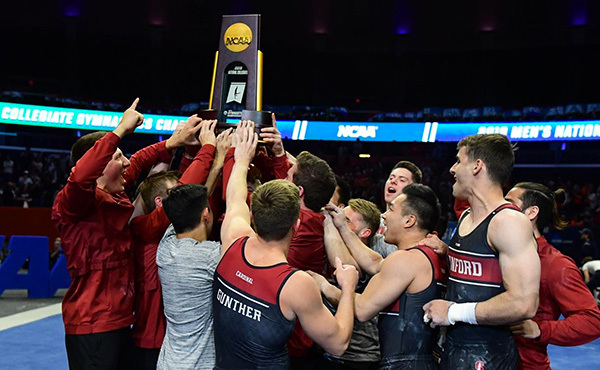 “It was great, (Kovacs) is one of those exciting release moves the crowd loves to see,” Taqiy Abdullah-Simmons, the assistant coach for the Oklahoma men's gymnastics program, said. “He also had a big stick on the dismount, which always makes it a lot more exciting.” Perfectionist he is, Moldauer has a laundry list of items he’d like to improve. Moldauer battled Ukraine’s Oleg Verniaiev, a parallel bars gold and all-around silver medalist in Rio, throughout the six rotations. 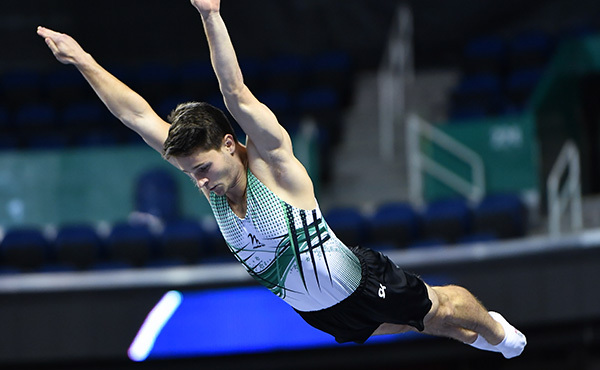 Verniaiev earned top scores in three events – pommel horse, rings and parallel bars – but lost ground with a.400 neutral (out of bounds) deduction on his floor routine and had to settle for second place. Modi, a Stanford University standout who regularly battles Moldauer at collegiate events, was almost as pleased with today’s results as his rival. The 21-year-old mechanical engineering student cited his parallel bar routine, which tied Verniaiev for high score with a 15.033, as one of his best ever. The NCAA Championship, held in West Point, N.Y., the third week of April, will feature another Moldauer-Modi face-off. Modi gained the all-around title in 2015; Moldauer won it last year.